Whiowhio is the South Island maori name for Whio, the New Zealand Blue Duck. Well, we think it is. We can't find the reference that originally inspired the name for our hike and hut, but if it's not true, we're happy with it as a name. Whio means whistle in maori...and in a world where the New Zealand Blue Duck is threatened with extinction, two whistles are better than one. When we aren't tramping for fun, we're tramping for Whio in the Oroua River Valley. The Oroua River and the nearby Pohangina River are home to the North Island's southern-most Whio (Blue Duck). These birds used to live in rivers and streams throughout the country, but due to habitat destruction and the introduction of rats and stoats they now cling on to life in New Zealand's nether-regions - isolated, inhospitable and beautiful remnants of New Zealand's natural history. Places like the upper reaches of the Oroua River. Numbers are hard to calculate, but we reckon the Oroua River valley has only about six Whio. These birds are protected by a network of almost 500 traps and a small group of volunteers who spend a lot of time walking in often difficult conditions. Hundreds of stoats and rats have been cleared from these traps and we believe that if the traps weren't there Manawatu's Whio would be gone. It feels like an impossible battle, but the battleground has become our second home. There are "many" more Whio living in other parts of the Ruahines. Some are protected, some are not. We think they ALL should be protected in some way, which is why you're reading this blog. As well as walking the South Island for fun, we're doing it for the Ruahine Whio. 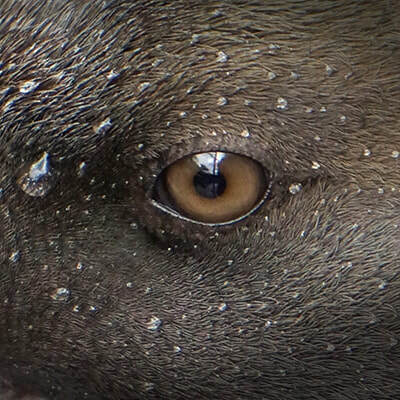 Have a look around...read some of the stuff we've learned about Whio and feel free to drop them a few bucks or offer your help. They need it. We are Anthony and Fiona from Palmerston North. We've been tramping since the kids left home and got interested in Te Araroa when we realised that it passes very close by our house. The week Te Araroa opened we walked the stretch from Feilding to our home. It took a long time and was at times unpleasant. But we're not fussy and fell in love with the concept of New Zealand's great walk from then on. Initially we section walked most of the way from Feilding to the southern coast of Wellington. In 2015 we walked from Bluff to Ships Cove.  In 2017 we made our own trail from Wellington to the top of the Coromandel - Whare Kai Atua (Cape Coleville). 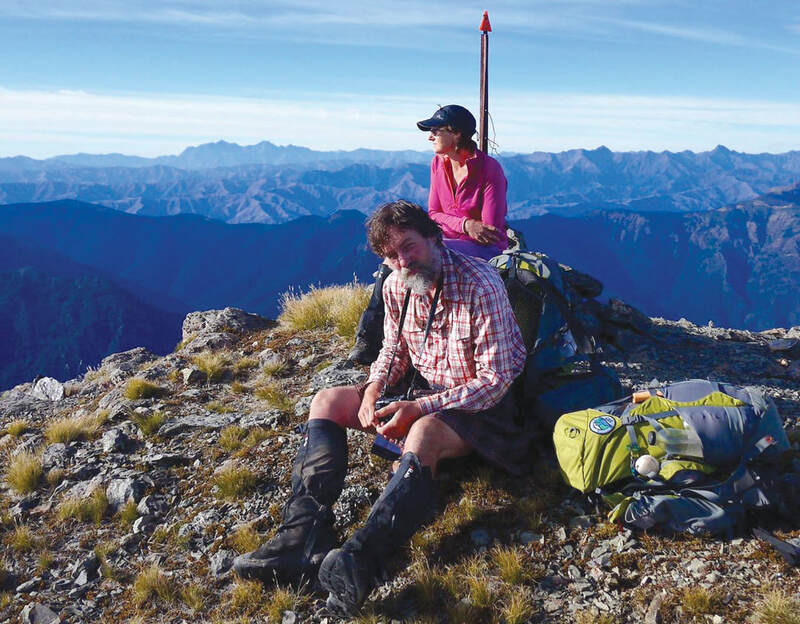 We also spend any free time we can in the nearby Ruahine and Tararua Ranges...you guessed it...walking (AKA Tramping). Fiona works at Palmy hospital. Anthony, nicknamed Fin, is a web and graphic designer who pretends to know what he's doing. 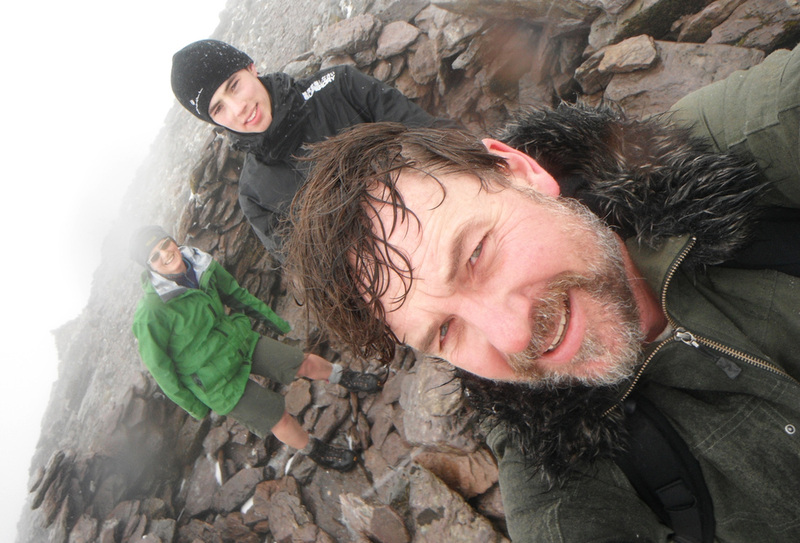 Us with cuzzy Jack on Corrán Tuathail - Ireland's tallest mountain, 1,038m.